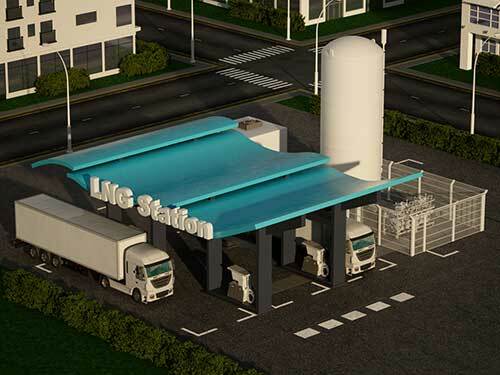 With a storage LNG capacity of up to 80m3,the FUELNG-Sustain permanent vehicle fueling station offers the most sophisticated technology for serving a large number of vehicles (up to 200 refueling per day). Suitable to be weights and measures approved according to the MID directive, the station could be used for both private or public fleet operators. The modular design of the station allows progressive extension of the refueling capacity, to anticipate future growth with total piece of mind. 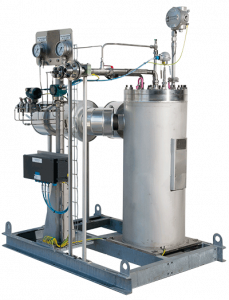 CRYOSTAR patented technologies benefit from optimizing features such as non-stop operation, boil off gas (BOG) management and fulfilling with zero emission requirements. Cryostar SUBTRAN is a cryogenic multistage submerged pump that transfers LNG from storage tanks to LNG dispensers. 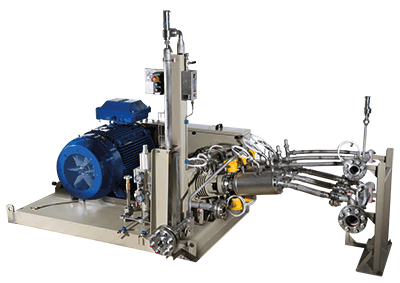 The A-SUBTRAN modular skid can accommodate one or two pumps (up to 720 l/min). It is supplied as a turnkey package mounted on rigid base frame with vacuum insulated sump, insulated piping and ATEX instrumentation and junction box. CRYOSTAR LNG Dispenser 2.0 fuels LNG vehicles in a total safety with very high accuracy thanks to its patented technology. The combination of its registered design and its first class user interface makes it very easy to use. 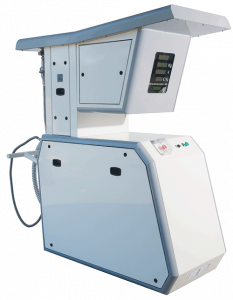 Thanks to its proprietary CRYOFUELTRONICSTM electronic card, the LNG Dispenser 2.0 may be used as a standalone solution, and provides the highest possible accuracy in accordance with the MID directive. The pump is supplied with all necessary ATEX accessories for the safest and most efficient use. The MRP pumps have become a worldwide standard thanks to their high efficiency and robust design.